SAE | Windancer - Stairway to ...Heaven? Mwell…my dear dear journal, today I had to learn about Mobility over SAE. As we very well know, our naughty user (User Equipment) does not just stay in one single cell, but rather moves around between different antennas. As per TS 23.401 (I have studied the June edition), there are several “cases” of mobility, or handover, as the 3GPP guys call them. So—let’s do this by the book. The signaling required for these handovers are described in TS 23.401 as a flow and in TS 29.274 at the IE level. At first, I thought I was too noob to understand this stuff. I still consider myself a noob, but the way these TSs are written sometimes really gets on my nerves. Let’s just consider the case of the S1-based handover with MME relocation and SGW relocation and Indirect Tunneling – meaning there is no X2 link between the source and target eNBs. All I can do for the moment is to look at the S11 interface, because this is the one I have the opportunity to study at this point. 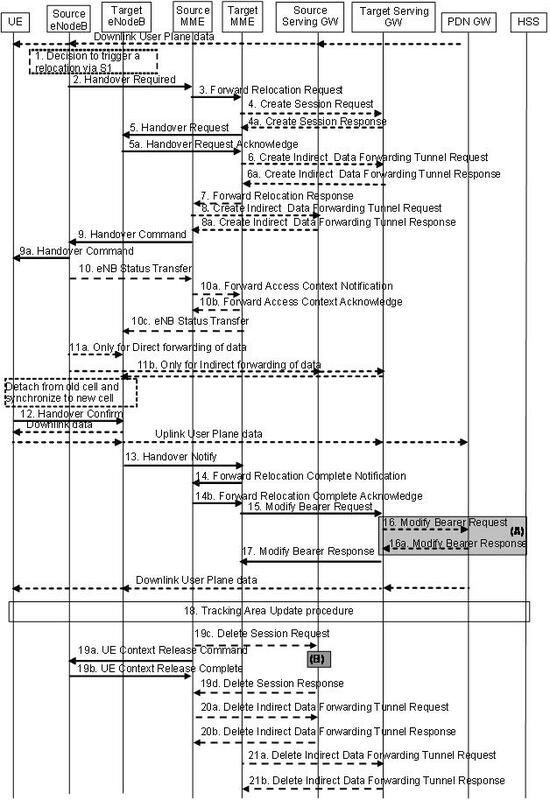 So, the 2 TSs involved in this case, at least at the high level are TS 23.401 – which describes the message flows between the SAE entities and TS 29.274 – which describes each message and its IEs. where my UE (UE-1) moves from eNB 30.0.0.1 to eNB 30.0.0.5 (which have an X2 link together) – doing X2 handover (with no MME relocation), then it moves from eNB 30.0.0.5 to eNB 30.0.0.8 (which don’t have an X2 link between them). As you can see from the picture, these 2 eNBs belong to 2 different MMEs and SGWs. This means that, when the UE moves from eNB5 (30.0.0.5) to eNB8(30.0.0.8), it will generate an S1 handover signaling between the source MME – MME1 (30.0.1.1), source SGW – SGW1 (30.0.2.1), target MME – MME4 (30.0.1.4) and target SGW – SGW2 (30.0.2.2). 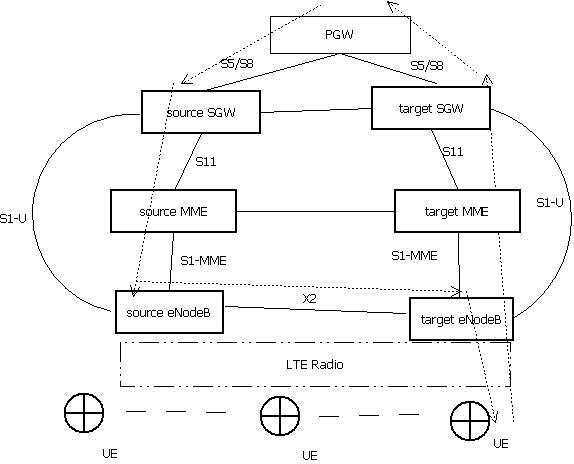 As there is no X2 link between eNB5 and eNB5, the downlink packets coming from the PGW while the UE is in the handover process with reach eNB5, then they will be “reflected” back to SG1, which will then forward them via an “indirect” tunnel to SGW2, which will forward them to the new eNB8, which is in charge of my UE. How does EPC do that? 8) The source SGW responds with a Create Indirect Data Forwarding Tunnel Response message, same as above, but the TEID/GRE ID is the one of the IP address of the source SGW. This ID shall be used for uplink data on the indirect tunnel from the source eNB to the source SGW. Let’s call this ID Key-3. 10) the source MME deletes its session from its (source) SGW, using a Delete Session Request / Delete Session Response pair of messages, carefully indicating the SGW that this is only a “local detach” of the UE, not a complete detach, meaning that the UE just moved and the local information about it is no longer valid, NOT that the UE disappeared from the network and the resources are to be deleted ! 11) 12) both pairs of source and target MME/SGW now delete the indirect tunnel by exchanging the Delete Indirect Data Forwarding Tunnel Request / Delete Indirect Data Forwarding Tunnel Response messages. a) one spec (TS 23.401) states that the delete session procedure should have Cause and LBI IEs in the Create Session Request message, while TS 29.274 defines these 2 IEs as Conditional, and, as per the condition in place, none of them should appear in this message when the source MME disconnects from the source SGW. Instead, the SGW should look at the Indication Flags in this request: if the Operation Indication is set, then this is a full detach, if the Scope Indication is set, this is a local detach. b) look at the above flags: shouldn’t it be better to have just 1 flag, and, if it is set, we have a full detach, otherwise we have a local detach? c) what happens in the S1 handover with no SGW relocation (whether or not the MME is relocated) and Indirect Tunneling? How is that going? Do I still send the two pairs of Create Indirect Data Forwarding Tunnel Request/Response? DAF – Conditional : Dual Address Bearer Flag: This flag shall be set to 1 when the UE requests a PDN type IPv4v6 and all SGSNs which the UE may be handed over to support dual addressing. This shall be determined based on node pre-configuration by the operator. So, this flag is an indication sent from the MME to the SGW, telling the SGW at the moment of the Initial Attach procedure: Hey! you know what? My mobile device supports dual-stack. You can assign it at once, on the same bearer, both an IPv4 and an IPv6. 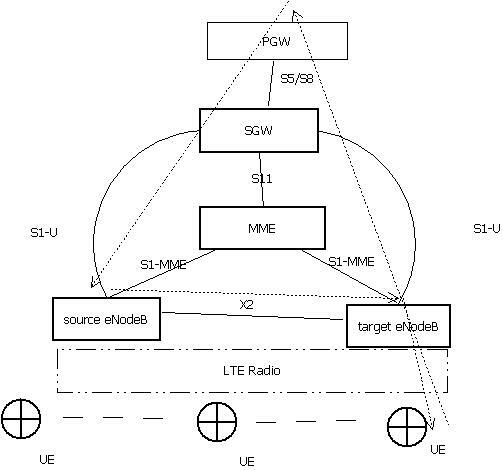 Also, if the UE moves from a 3G coverage to a 4G coverage (the definition above says the other way around, but logic tells me that the MME actually sends a Create Session Request when it is a _target_ MME, therefore when the UE moves from a 3G to a 4G network), doing an MME relocation, SGW relocation handover procedure, our MME would says the following to its fellow SGW: Dear SGW, my mobile device has just arrived here from a 3G network, more specifically from an SGSN that supports dual addressing. So don’t worry that I am asking for both an IPv4 and IPv6 addresses for the same bearer for this UE. Now, there are several rules when using or not this DAF. The general rule is to set it, which seems to be the default rule in the 4G network context. The only case when, in a 4G context we do NOT set this flag is when the interface between the SGW and the PGW (the S5/S8 interface) runs PMIP, and not GTPv2 (as S11 does). So, usually, in this most common case, the UE that supports dual-stack will ask for a single default bearer, having an IPv4v6 dual-stack type of address. 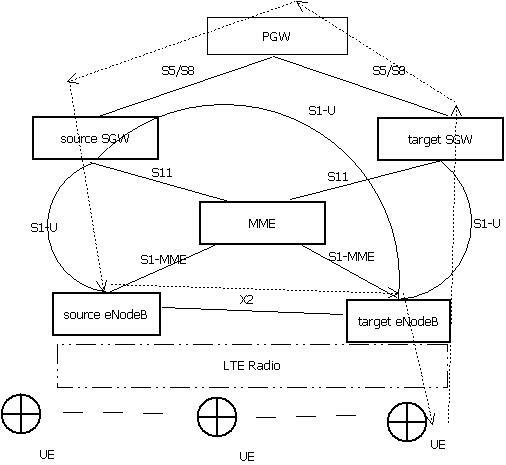 If the MME is running in a full 4G environment or it is aware that all SGSNs to which the user may handover to also support dual-stack and the MME is aware that the S5/S8 interface runs GTPv2, then the MME will set the DAF flag and hopefully the PGW also supports dual-stack, our dear UE will get an IPv4v6 address, actually meaning that it will get 2 IP addresses (one IPv4 and one IPv6) for the same, single, default bearer to this APN. The PDN GW takes into account the received PDN type, the Dual Address Bearer Flag and the policies of operator when the PDN GW selects the PDN type to be used as follows. If the received PDN type is IPv4v6 and both IPv4 and IPv6 addressing is possible in the PDN but the Dual Address Bearer Flag is not set, or only single IP version addressing for this APN is possible in the PDN, the PDN GW selects a single IP version (either IPv4 or IPv6). If the received PDN type is IPv4 or IPv6, the PDN GW uses the received PDN type if it is supported in the PDN, otherwise an appropriate error cause will be returned. The PDN GW allocates a PDN Address according to the selected PDN type. If the PDN GW has selected a PDN type different from the received PDN Type, the PDN GW indicates together with the PDN type IE a reason cause to the UE why the PDN type has been modified. What about the UE. What should it do after getting an IP? After the Attach Accept message and once the UE has obtained a PDN Address, the UE can then send uplink packets towards the eNodeB which will then be tunnelled to the Serving GW and PDN GW. 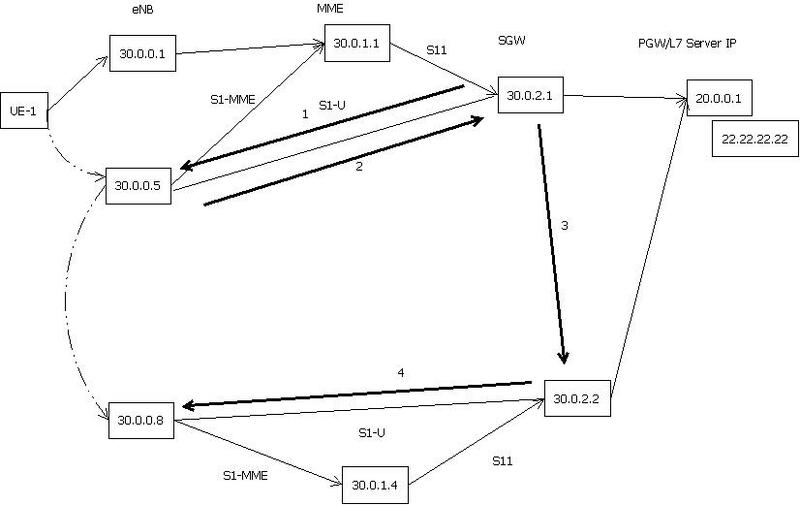 If the UE requested for a dual address PDN type (IPv4v6) to a given APN and was granted a single address PDN type (IPv4 or IPv6) by the network with a reason cause indicating that only single IP version per PDN connection is allowed sent together with the PDN type, the UE may request for the activation of a parallel PDN connection to the same APN with a single address PDN type (IPv4 or IPv6) other than the one already activated. If the UE receives no reason cause in step 18 in response to an IPv4v6 PDN type and it receives an IPv6 Interface Identifier apart from the IPv4 address or 0.0.0.0 in the PDN Address field, it considers that the request for a dual address PDN was successful. It can wait for the Router Advertisement from the network with the IPv6 prefix information or it may send Router Solicitation if necessary. Now, the applications on the UE must know which type of socket to create. They can either create an IPv4 or an IPv6 socket and choose among the available IP addresses. TS 29.061, more precisely the Interworking between PGW and PDN, sections 11 to 13. In my opinion, a very good tutorial website for LTE – radio. The EPC part is kindda old – it presents the March 2009 spec, but still good for the general idea. Doing some more reading in the TS 29.061, I ended up in some other dilemmas. Now, the dilemma comes. As the PGW is a control-plane entity and a user-plane entity in the 4G world, it can send both 4G control-plane messages (to the SGW – that may propagate or not till the MME – GTPv2-C messages) and user-plane messages (which are GTPv1-U messages encapsulating SIP, DHCP, whatever protocol). The GGSN/P-GW shall then provide only those P-CSCF address(es) that are available in a Create PDP Context Response/Create Bearer Response. Information elements P Condition / Comment IE Type Ins. So, if the 3GPP guys actually claim to configure multiple P-CSCF addresses in the above grouped IE, where are they putting those IP addresses? 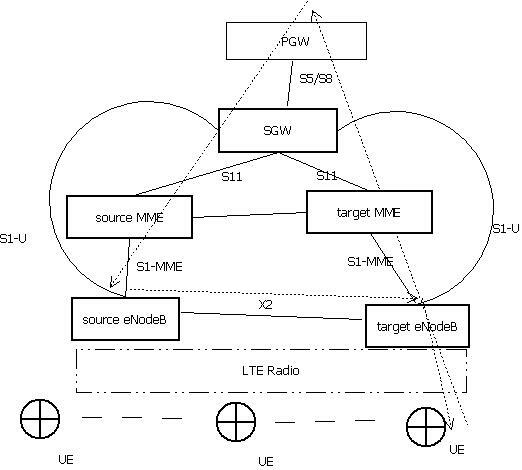 I’ve been looking, as one of this blog’s readers asked for, a 3GPP spec to describe the functionality of the PGW (or SGW)..or, for the matter of fact, the 4G network element that deals with the IMS interaction. The common sense advised me the “culprit” in this matter should be the PGW. First let’s take a short look at the 4G – IMS picture. Interworking with the IP Multimedia Core Network Subsystem (IMS) puts additional requirements on the GGSN/P-GW. When the MS/UE connects to the IP Multimedia Core Network Subsystem (IMS), specific parameters in Session Management messages may be handled. The IMS specific parameters are: IMS signalling flag, P-CSCF address request, returned P-CSCF address(es) and flow identifier(s). For interworking with the IMS, the Gx interface (see 3GPP TS 29.212 ) is used to correlate the session (SIP/SDP) and the bearer (PDP Contexts). – Dedicated signalling bearer (e.g. PDP contexts) (with or without enhanced QoS) for IMS signalling; with associated packet filters to permit signalling to/from designated servers. – Gx interface for policy and charging control of bearer (e.g. PDP contexts) for IMS media flows. These mechanisms are however not restricted to the IMS and could be used for other services that could benefit from these mechanisms. I know this sounds (at least a bit) weird. Why? Because the nice fellows from 3GPP state bravely that ECM-IDLE means NO USER-PLANE Bearers. Mwell, that’s not precisely (nor entirely) true. 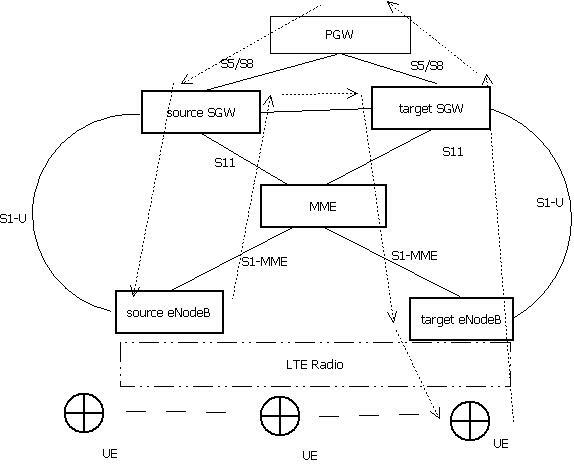 This procedure is used to release the logical S1-AP signalling connection (over S1-MME) and all S1 bearers (in S1-U) for a UE. 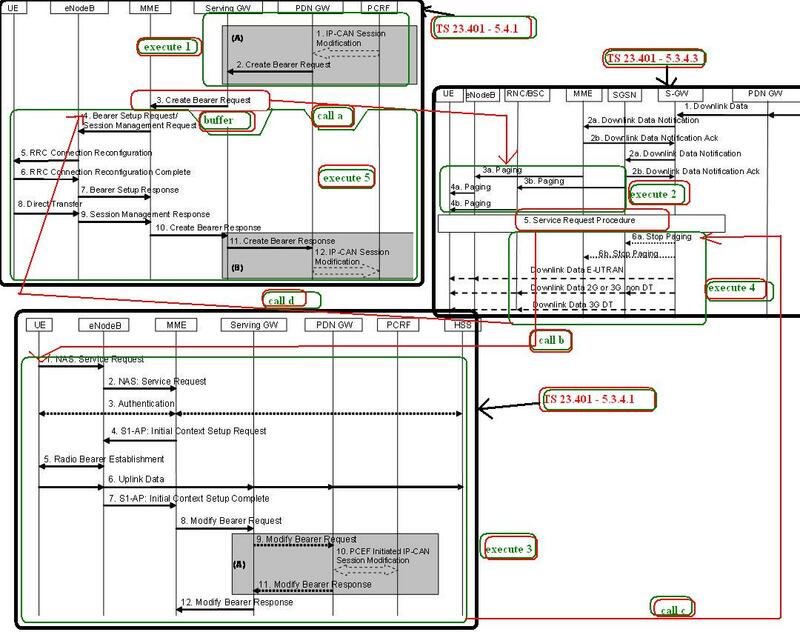 The procedure will move the UE from ECM-CONNECTED to ECM-IDLE in both the UE and MME, and all UE related context information is deleted in the eNodeB. Unfortunately, this is not exhaustive. The things described here DO happen, but something ELSE DOES NOT happen. 3. The S‑GW releases all eNodeB related information (address and TEIDs) for the UE and responds with a Release Access Bearers Response message to the MME. Other elements of the UE’s S‑GW context are not affected. The S‑GW retains the S1-U configuration that the S‑GW allocated for the UE’s bearers. The S‑GW starts buffering downlink packets received for the UE and initiating the “Network Triggered Service Request” procedure, described in clause 5.3.4.3, if downlink packets arrive for the UE. If the MME sends UE’s Location Information in step 8, the S‑GW sends a Modify Bearer Request to the PDN GW including the User Location Information IE. Ok, so the 3GPP guys let us believe the ECM-IDLE ==EQUALS== NO user-plane bearers. OK, point taken, there are some bearers still up. Take a look at the TS 23.401 – 5.3.4.1 UE Triggered Service Request. What is this section actually describing? Well, it says that the UE, while in ECM-IDLE simply decides to make traffic. What does it do first? Well, it has to become CONNECTED, that’s for sure, so it re-authenticates to the HSS via the MME, then the MME sends its eNB a S1-AP: Initial Context Setup Request. After the Radio Bearers are up, the UE CAN IMMEDIATELY SEND TRAFFIC in UPLINK. !!! You will notice that, at this point, the UE is not in ECM-CONNECTED, as we define this state, meaning that there are no eNB S1-U bearers up. STILL, should you keep in mind the observations in the beginning of this post (that the SGW S1-U TEIDs are NOT deleted in the S1 Release Procedure), the eNB actually has the Uplink TEID, so it CAN encapsulate the Uplink data of this UE. The TEID of the SGW S1-U interface is passed on to the eNB by the MME, via the S1-AP: Initial Context Setup Request message. 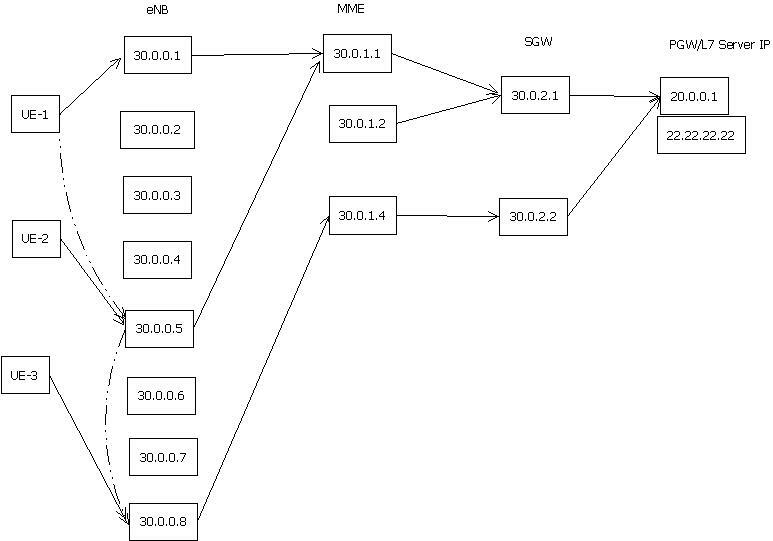 You’ll notice that barely after the UE actually uplinks data is the MME and SGW updating this UE’s information so that we can truly say it is in ECM-CONNECTED state. B. The “second” scenarios happens (or at least to my understanding happens) specifically when there is downlink data to be sent from the SGW to the UE, without (necessarily???) having to send control-plane signaling. – Will the UE first be woken-up from ECM-IDLE and become CONNTECTED, and then the Delete Bearer Request is processed and responded? 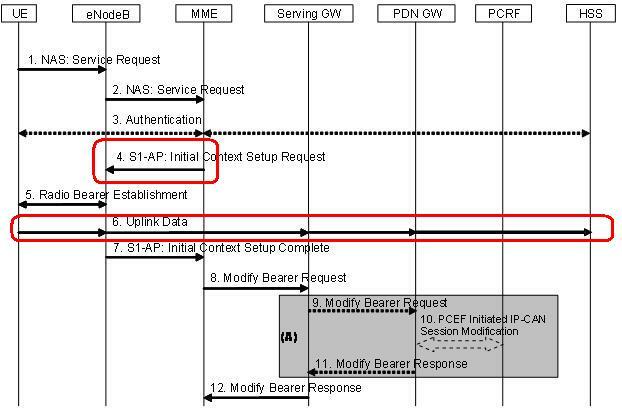 Or simply the MME will process the Delete Bearer Request message and NOT put the UE in ECM-CONNECTED?